Resort has Record Breaking Revenue after New Website is Launched! 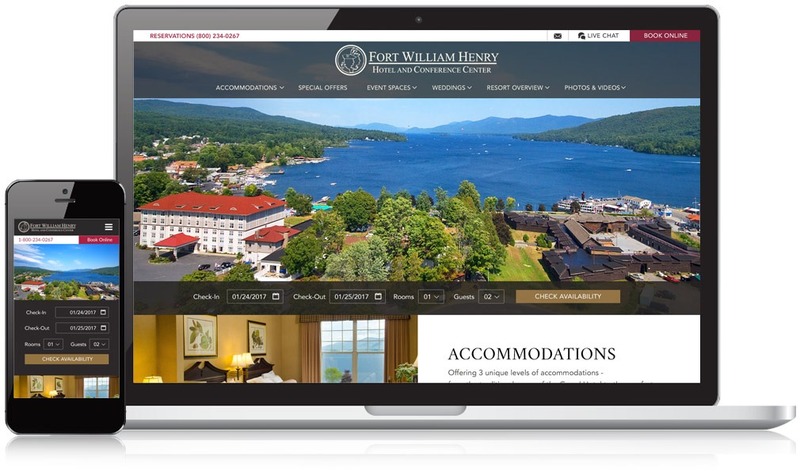 Fort William Henry Resort & Conference Center needed an online destination that informed visitors of all they have to offer. From a hotel stay to large scale events, this conference center is able to meet any customer’s needs. Prior to the redesign, the site was suffering, year over year visits to the site were down 12% and page views were down 16%. After the new site was launched, traffic increases year over year 53% and pages per session increased 42% and the hotel reported a record breaking year. The simple color scheme allows the impressive views of Lake George to shine, allowing visitors to be in awe of the location of Fort William Henry. 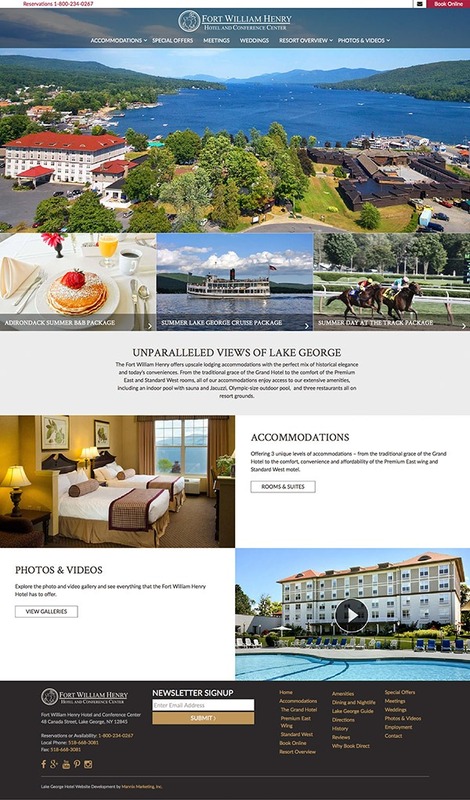 This Hotel and Conference Center is constantly hosting new events, so it was imperative to include WordPress on their website, allowing them to easily make updates.